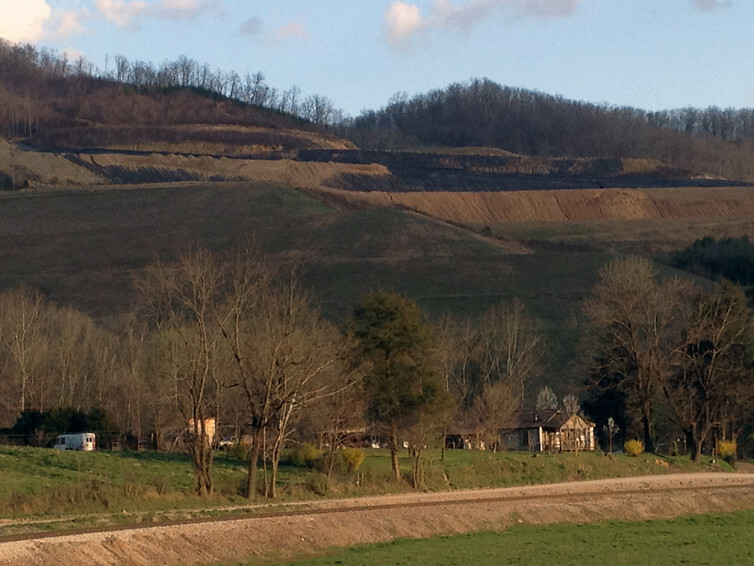 Panoramic image of mountaintop removal mining, West Virginia. Impacts of acid mine drainage in Pennsylvania. 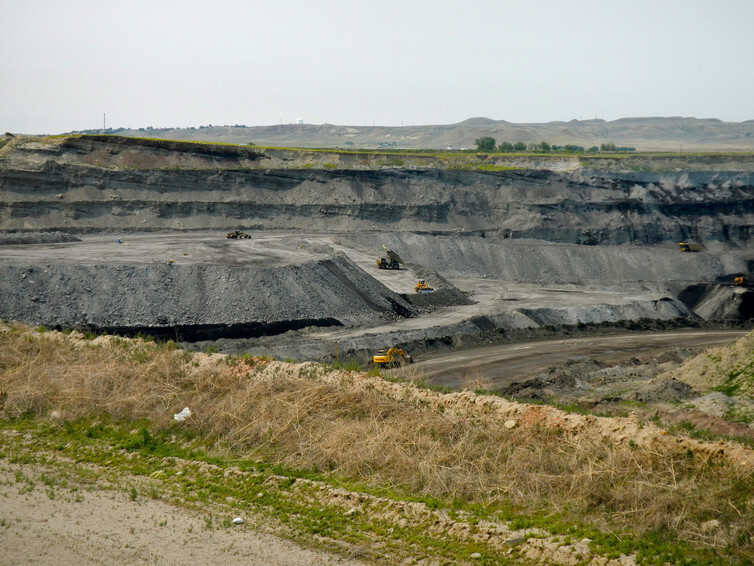 Strip mining, Powder River Basin, Wyoming. Home below a strip mine, Campbell County, Tennessee.